Description A large, 6 3/8" paper doily used by the Baltimore & Ohio (B&O) Railroad to present a free demitasse cup of coffee to each dining car patron during the Breakfast service. 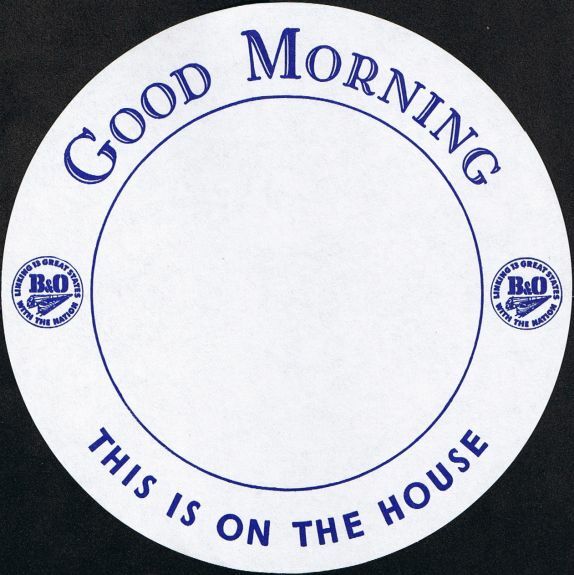 These doilies had "Good Morning" and "This one is on the house" printed in blue ink. Each doily was placed on a luncheon plate, and then had the demi (AD or After Dinner) cup and saucer placed on top.